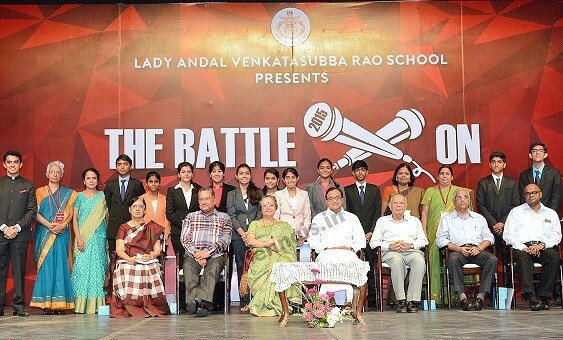 The management, staff and students of Lady Andal Venkatasubba Rao School, organized a two day Inter- School Debating Event, “The Battle-On” that was held on the 28th and 29th of October 2015. “The Battle-On”, over the years, has been and continues to be a platform to discuss topics of importance in a civilized and intellectual manner. The aim of the Battle – On is to let students voice their views and opinions on the most pressing issues in today’s world, in an environment judged by distinguished names in their respective fields”. The event had over 300 students from nearly 32 schools including schools from Erode and Kerala. The students battled out on various topics which included “The Indian Corporate sector should be allowed to donate money for political campaigns” “India needs to solve its agrarian crisis rather than push for ‘Make in India’”, etc. The final debating topic was “The Indian Juvenile Justice Bill seeking to equate 16 to 18 year olds committing heinous crimes with adult criminals, is unjustified”. 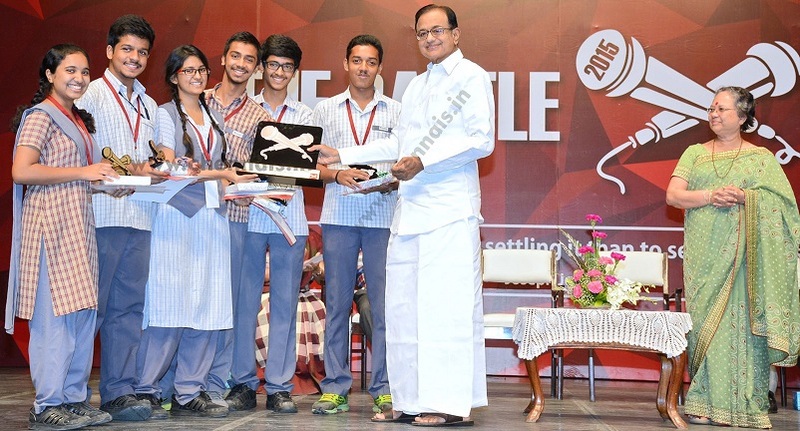 Bhavans Rajaji Vidhyasharam ,Chennai was the winner of the Battle-On 2015 and Bhavans Vidhya Mandir, Eranakulam was the runners up. The chief guest for the inauguration function of ‘The Battle-On 2015’ was Mrs. C. Prema Kumar, Correspondent of Lady Andal Venkatasubba Rao School, Lady Andal House of Children and Sir Mutha School.The valedictory function was presided over by the former Union Minister Mr P .Chidambaram. He appreciated the efforts of the students for keeping the art of debating alive. He appealed to all students gathered never to give up the attitude of questioning as that will pave the way for a healthy society.